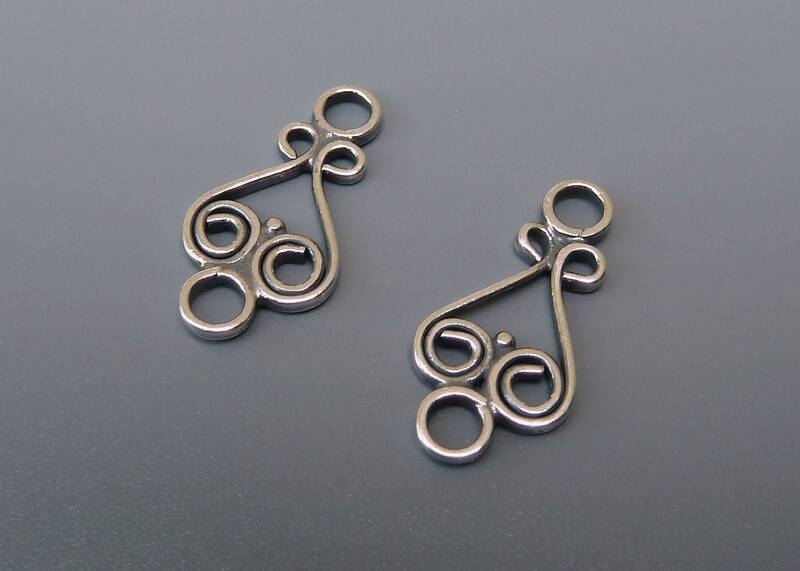 This listing is for your choice of one pair or two pairs of sterling silver chandelier earring findings for jewelry making. 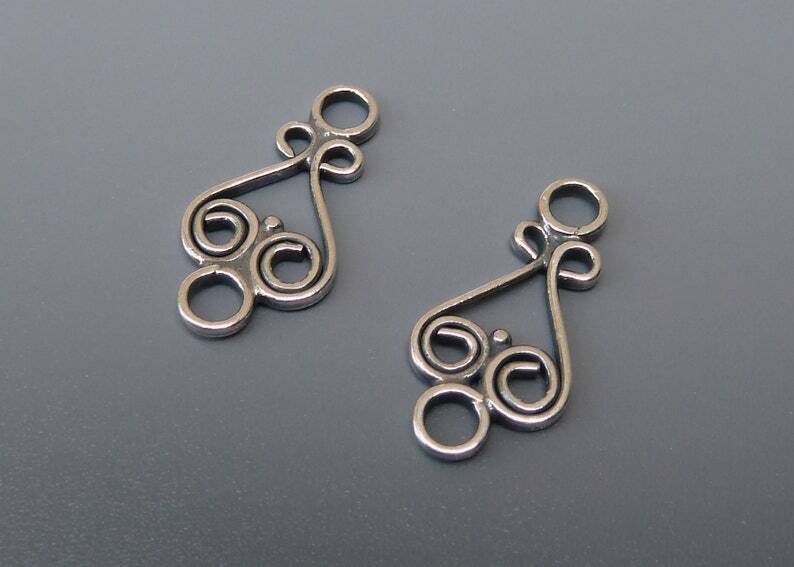 These connectors were imported from Bali, Indonesia and are made of .925 sterling silver which has been given an oxidized finish. Because these Bali findings are individually handcrafted, there may be slight variations in size, weight and oxidation. Note: All sizes are rounded to the nearest millimeter. Shipping is listed as USPS First Class. If you are interested in Priority Mail or insurance, let me know before checking out and I will change the shipping charges for you.